Dr. Faiz is interested in understanding the heterogeneity of astrocytes, their roles of astrocytes in the injured/diseased brain and how this knowledge can impact future therapeutic interventions. Specifically, she is interested in the role of reactive astrocytes derived from the subventricular zone after injury, the functional implications of reprogramming astrocytes in the brain and the development of cortical astrocytes from subsets of neural stem cells. 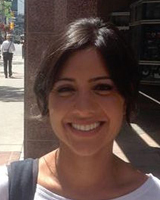 Read the OIRM research profile about Dr. Faiz and learn more about her 2018 OIRM New Ideas Grant project!